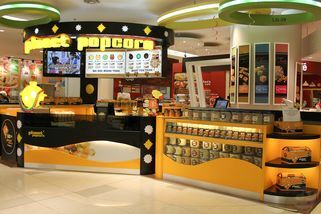 From the centre court of Paradigm Mall, turn right and head towards Tesco. Go downstairs and walk towards the main Tesco entrance. 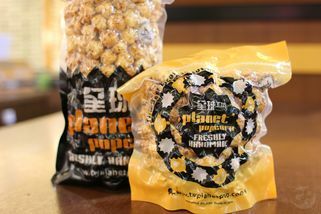 Planet Popcorn is in the middle, facing Tesco. 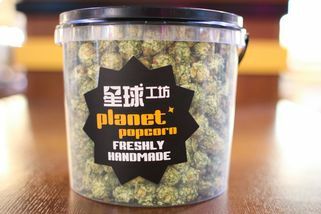 All the popcorn is packed in air-tight and resealable bags of various sizes, or big containers for huge fans of their offerings. 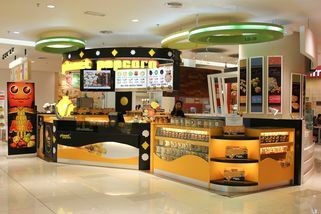 The Paradigm Mall outlet is located right by the food court and opposite Tesco, so keep a look out for their signature yellow lighted up signs. "Not bad, but not going to dream about it either." 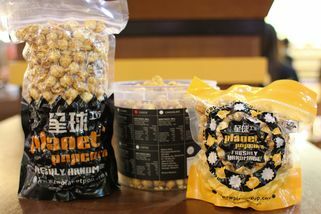 Planet Popcorn just right beside Tesco. 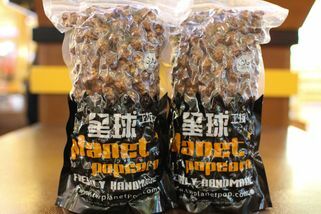 It's look a bit trendy and got so many flavours, so i decided to give it a try. Honestly, It's a bit pricey to me. 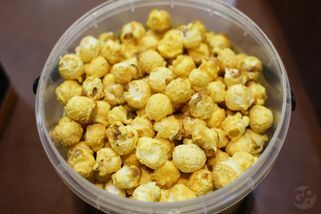 I buy cheese popcorn and wasabi popcorn..
Well, hum..it's a so-so to me.. not bad, but definetely not going to dream about it.